How do I encrypt an excel file in excel 2013? How to encrypt excel workbook? How to encrypt an excel file with a password in Microsoft excel? 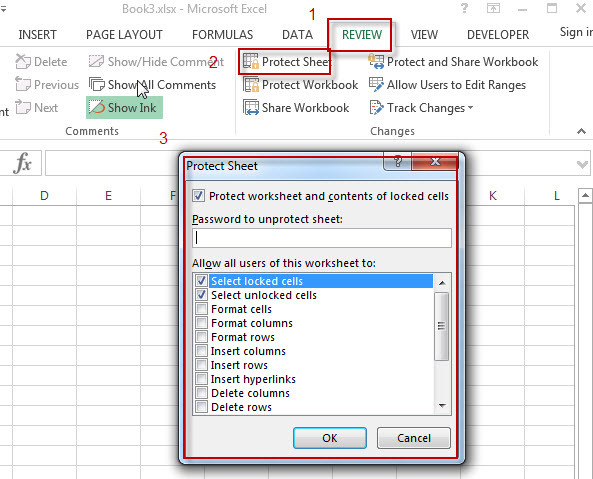 This post will guide you how to encrypt excel file, protect workbook and protect worksheet in excel. “Password to open”, it means that while you opening a workbook, you need to input a password. “Password to modify”, it means that if you want to modify the workbook, then you must input a password, or you just only can read it. “Read-only recommended”, it means that you can read-only the excel workbook if you do not know the password. 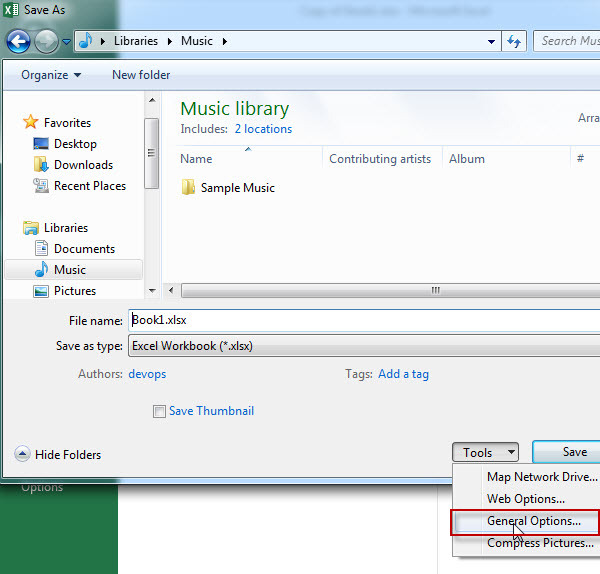 3# click “Tools” button, then click “General Options…”, the “General Options” window will appear. 4# enter a password in “password to open” or “password to modify” box. 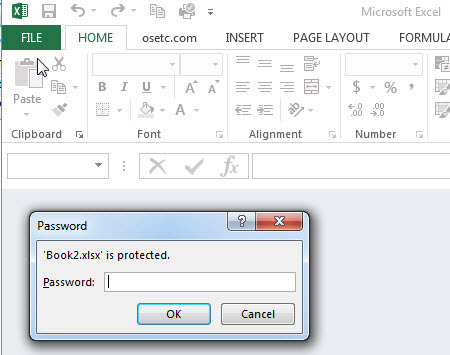 6# try to reopen the above excel workbook, then you need to type password so that it can continue to open. 7# if you want to make your workbook with read-only, just checked “Read-only recommended” option in “general options”. 8# re-open excel file, one window will be pop up. 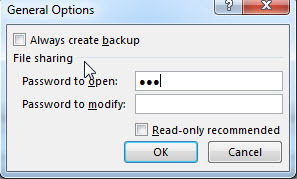 Protect structure-user is not able to do the following operation for the current workbook: Insert, Delete, Rename, Move or Copy, Hide, Unhide and set tab color. 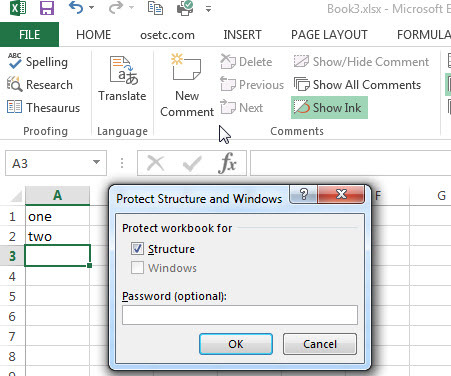 Protect window-this option is only available in excel 2010 and earlier. If you checked “windows” option, the users is not able to moving, resizing or closing the current workbook window. 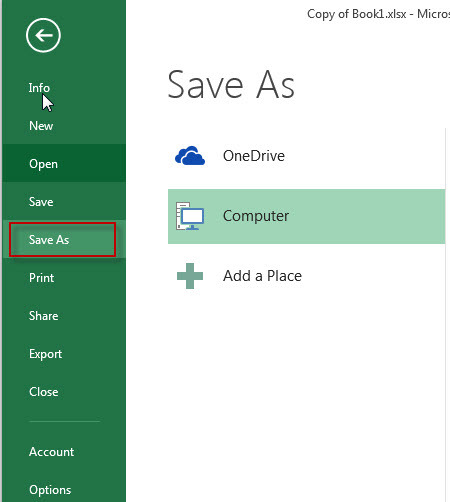 And the protect windows option is unavailable in excel 2013 and later versions. 2# On “REVIEW” Tab, click “Protect Workbook” on “Changes” group. 3# Enter a password in the Password box. 4# Retype the password to confirm it. 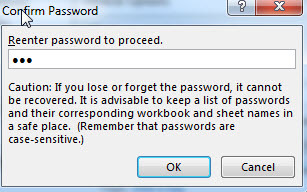 5# if you want to unprotect workbook, just click “protect workbook” again, then enter the password. 1# on “REVIEW” tab, click “Protect Sheet”, then “protect sheet” window will appear. 2# Reeter password to proceed.